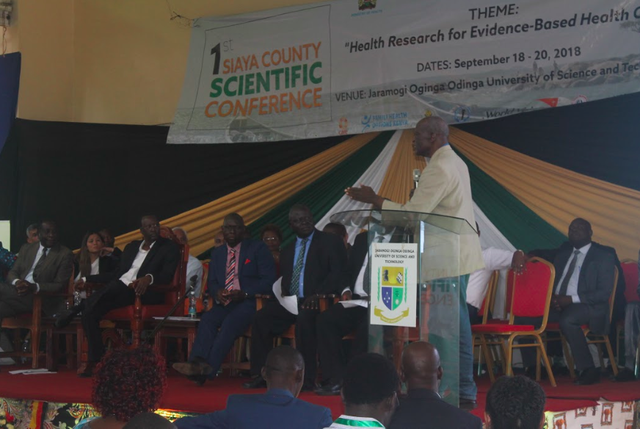 The fruits born from the 1st Annual Siaya Scientific Conference are now in bounty! 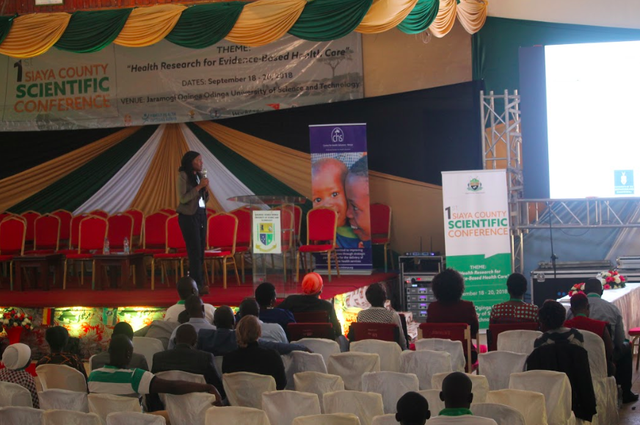 During the conference, the SCH/AIHT team had requested delegates and attendees to get in touch with them to plan for future outreaches around Siaya. Ms. Rose Juma, the Field Coordinator for IMPACT in Alego-Usengo and Gem Sub-counties, was one of the first to take advantage. She reached out to our team to come to Kambare Village and hold an outreach there. To support our team, she lead the mobilization of residents and coordination on the ground. In particular, she was anxious to bring cervical cancer screening for the women there. Our land cruiser successfully guided our Jphiego health wagon (gari la afya) safely to Kambore. Our team set off from Sagam and arrived in the early morning. 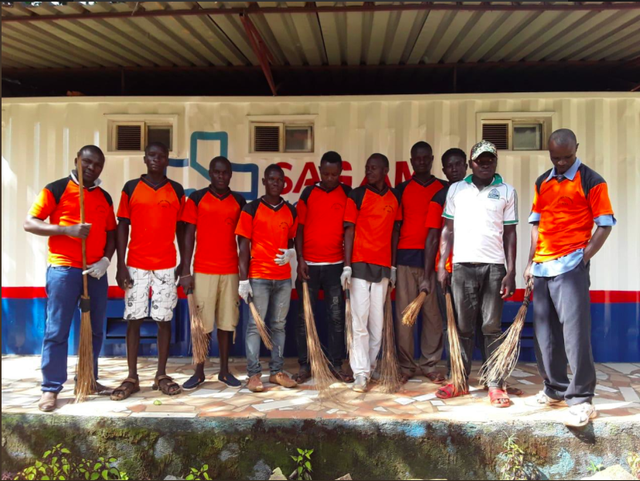 Support by our Jhpiego medical wagon, our team made the exciting journey to Kambare. As part of Rose’s efforts, we were able to see 130 people, all of whom were screened for their blood pressure, with 33 referrals made to SCH for further check ups in our non-communicable disease (NCD) clinic. We provide HIV testing and counseling to 48, 12 received family planning services, 26 women were screened for cervical cancer with 3 being referred to SCH’s ob/gyn clinic for further follow up. 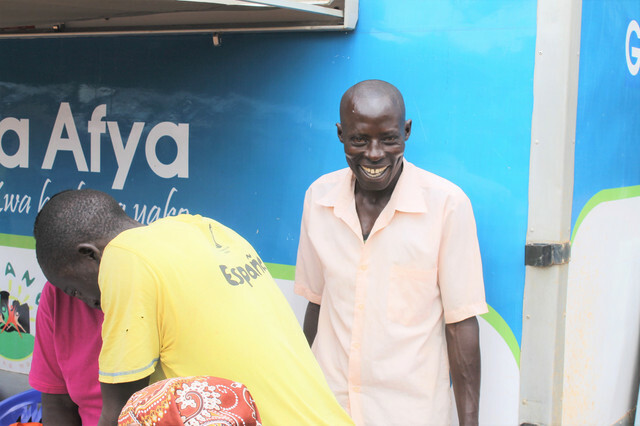 Others were also able to be seen by our clinician while 4 registered for M-TIBA, the mobile health pocket used by many to pay for health services. SCH outreach team began to see patients early in the morning. We are grateful to Rose for the support and we look forward to more fruits and collaborations with other partners within Siaya County! Stay tuned for news from an upcoming outreach/football match this Saturday in Sagam and a joint outreach planned in collaboration with Siaya County and Jhpiego in Ambira in late November. It is more than the beautiful game (football). It is about our community and how we can support each other. 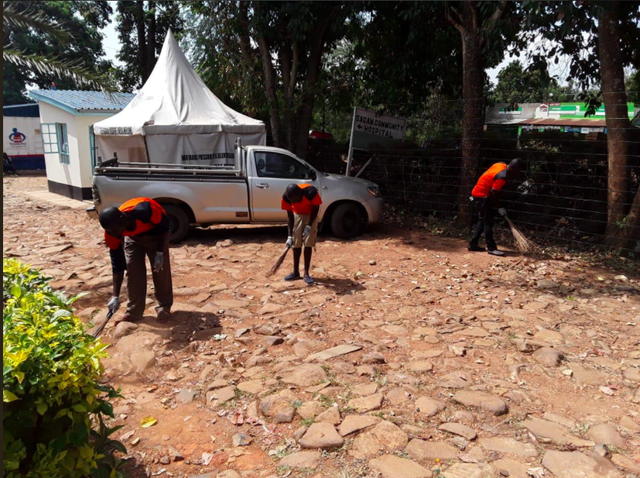 Much gratitude and appreciation to our ‘rivals’, Marenyo Football Club (FC), who took time to conduct a free clean up in our compound at the hospital. Many thanks to the Marenyo FC officials, Edward Achola (Chairman), Lucas Omollo (Team Manager), Noah Otenda (Assistant Team Manager), Allan Pudo (C0ach), George Obare (Assistant Coach) and Michael Otieno (Secretary), for helping to lead their players. Also many thanks to our Sagam Community Hospital (SCH) FC officials in Javan Ogoch and David Masiime (Nyayo) for the coordination. Tuko pamoja (we are together). AIHT and KMPDB banners stand proudly before the start of the launch. On any graduation day, graduates are made to believe that all of them have the same level of knowledge and skills. Soon after, however there is a rapid divergence and you may be lagging far behind your graduating class, even your best friend. Dr. Walter Obita and Mr. Isaiah Opondo prepare for the launch. CPD is important because it ensures you are competent in your profession. It is a continuous process, throughout your professional carrier. The ultimate outcome of a well-executed and effective CPD is to safeguard the PUBLIC, the EMPLOYER, the PROFFESSION, the PROFESSIONAL and his carrier. CPD can be mandated by law or regulation but, at the core, it is a personal responsibility of every professional to maintain optimum levels of current knowledge and skills that enable them to deliver the highest quality of services, that safeguards the public and meets the expectations of clients and requirements of the profession. “This is transformational – Dr. Kitilu noted in her remarks. CPD should be engaging and fun to do. CPD must be relevant. 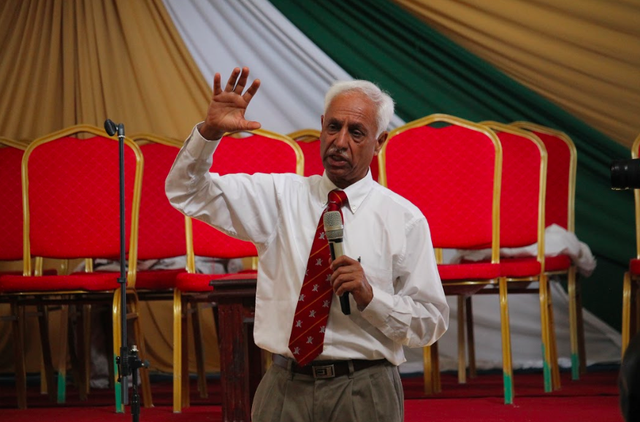 That is why the African Institute for Health Transformation at SCH (AIHTSagam), in collaboration with Machealth, the Division of E-Learning Innovation at McMaster University and Kenya Medical Practitioners and Dentists Board (KMPDB) launched its online CPD platform for Kenyan doctors on Friday, September 21, 2018, at the KMPDB Centre, Nairobi. The grand occasion was video-linked live with McMaster University, Hamilton Canada, with Prof. Anthony Levinson and Rosa Kovalski in Ottawa. There was a full house in Nairobi, led by the CEO of KMPDB, Dr. Daniel Yumbya and Chair of the Kenya Medical Association, Dr Jackie Kitulu. All the ten national health regulatory councils and associations were present as we plan on expanding the online CPD platform to other cadres of healthcare workers such as laboratory technicians, nutritionists and clinical officers. Prof. John Adwok, Chair of the South Sudan Medical Council urged AIHT to extend the online CPD service to SS health professionals immediately after the launch. Dr. Anthony Levinson and Ms. Rosa Kovalski was able to join the team via live conferencing. As part of the presentation, AIHT Sagam was able to demonstrate how the platform works in real-time. We wish to thank Dr. Walter Obita, Mr. Duncan Mwai, Mr. Crispus Muthiani and Mr. Isaiah Opondo (together with Ms. Kovalski, Prof. Levinson, Dr. Khama Rogo and Dr. Lucie Rogo) for their support in getting the hub and the launch up and running. The new online service offers intensive courses written by professionals for professionals and opportunity for thoughtful interaction with peers, both in Kenya, the region and beyond. 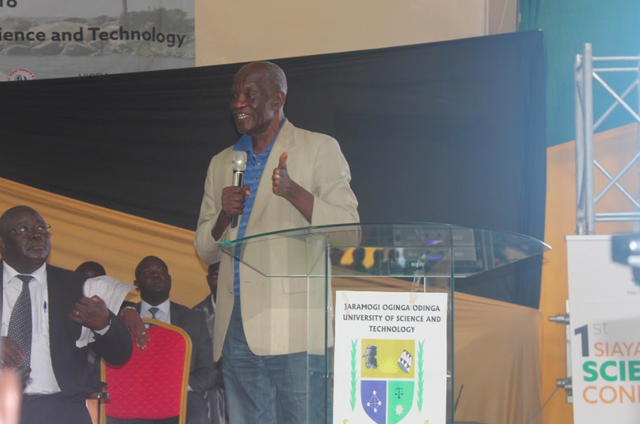 The following AIHT updates were shared with us by courtesy of SCH founder, Professor Khama Rogo. 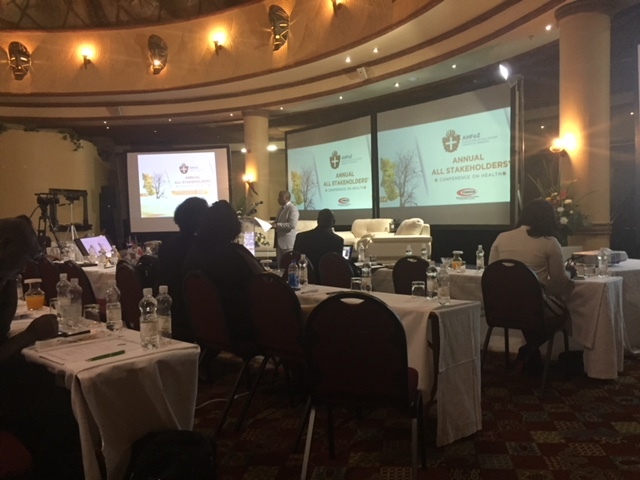 The AIHT experience was recently presented at Victoria Falls during the annual conference of the Association of Health Funders of Zimbabwe (AHFOZ). 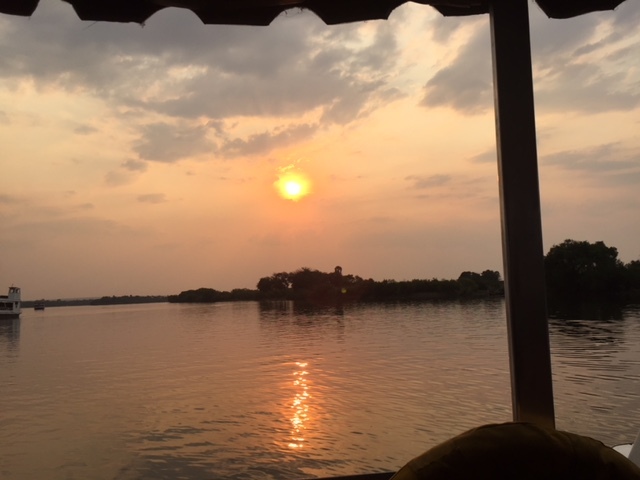 The photos below aptly represent the determination of AIHT to share the PP in health experience and innovations with like minded networks across Africa, from Lake Victoria to Victoria Falls! 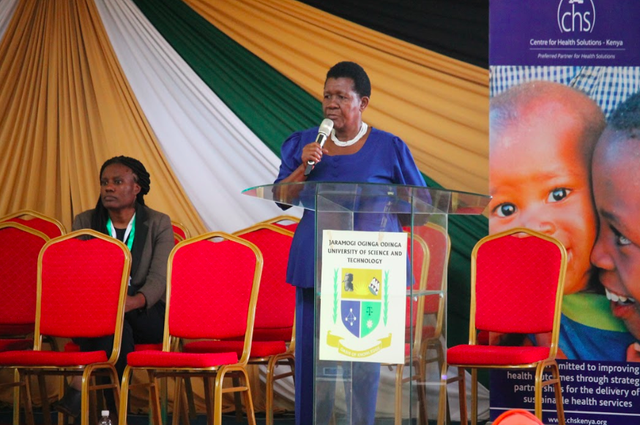 Nearly 1000 nurses from 16 African countries and beyond, recently gathered in Nairobi for the East Central and Southern African college of Nursing (ECSACON) Conference. All global and regional nursing royalty were there, including the current President (Kennedy from Ireland) and Past President (Judith Sharman from Canada) of International Council of Nurses (ICN), the President of ECSACON (Susan Otieno), and President of JHPIEGO (L. Mancusso). Near Kiereini, the first and only black president of ICN, former Chief Nursing Officer in Kenya. They both graced the occasions together hinders of senior nurses from the country and region. The ‘Nightingale’ procession and candle lighting were events to behold. 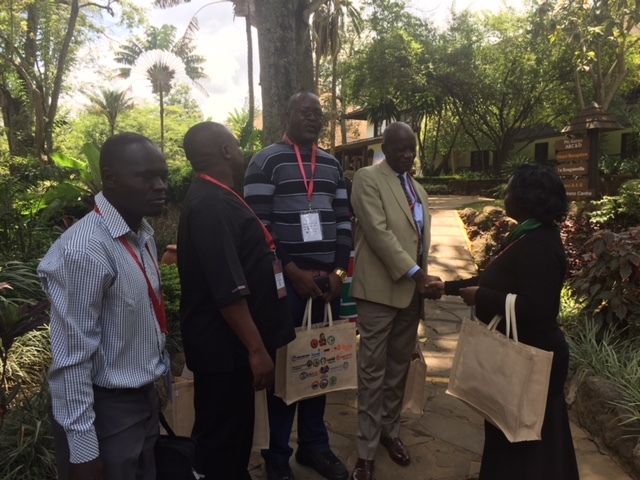 Professor Khama Rogo chaired a special two hour stimulating Presidential round table at the plenary before the official opening by Kenya’s Deputy President. Both Siaya and Kisumu counties were well represented by strong delegations, led by the first lady of Kisumu County, H.E. Dorothy Nyong’o. Mrs. Nyong’o comes a historically formidable nursing family. Both, her mother and aunt were pioneer nurses at Kenyatta National Hospital. 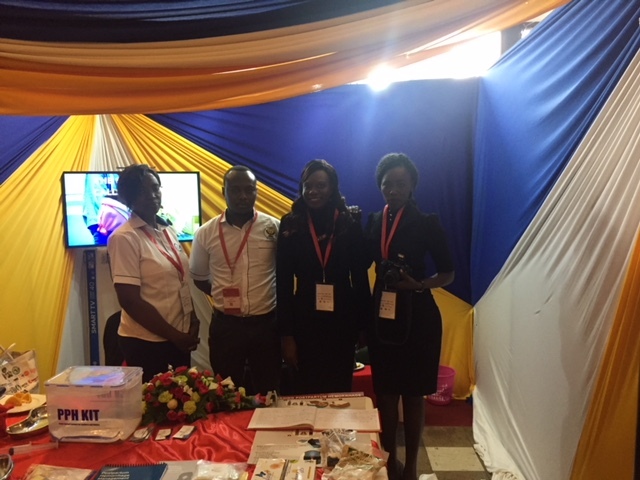 AIHT was at hand to attend to accompany the County delegations and display our UBT innovations through the well visited KMET stand. The pictures below help to tell the story. Every Second Matters for Mothers and Babies Ketamine (ESM-Ketamine)™ Anesthesia Training Program: The training program for this life-saving, award-winning safe anesthesia solution in areas of Kenya with limited access to anesthesia services is housed at the African Institute for Health Transformation (AIHT). AIHT at Sagam Community Hospital (SCH) was excited to host trainees from Kisumu County for September’s Ketamine Week. 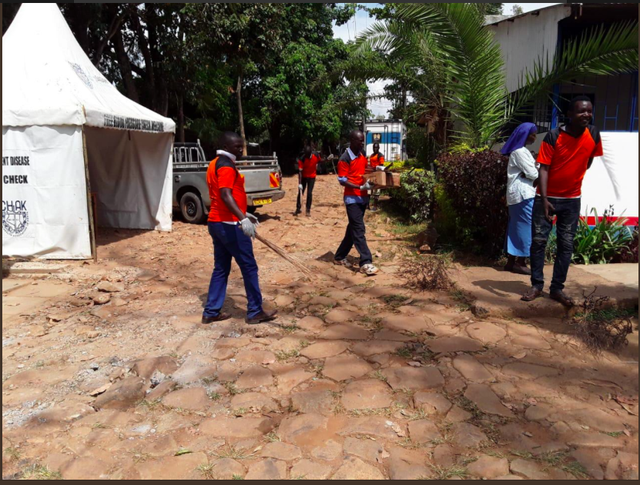 The team from Kombewa (in Kisumu County) consisted of three registered nurses, a Clinical Officer (also trained as an anesthetist) and a medical officer. SCH agreed to train this team during a ceremony held by H.E. Peter Anyang’ Nyongo’ earlier this month in Kisumu which was held to jump start UHC in Kisumu County. This month’s Ketamine week started with a slight hiccup as there were some logistical issues on Monday (the traditional start of Ketamine Week). Because of that, only one member of the Kombewa team was able to start training then, with the rest all arriving on Tuesday morning. Despite the shorter week than usual, the trainees got some excellent hands on experience in administering Ketamine. 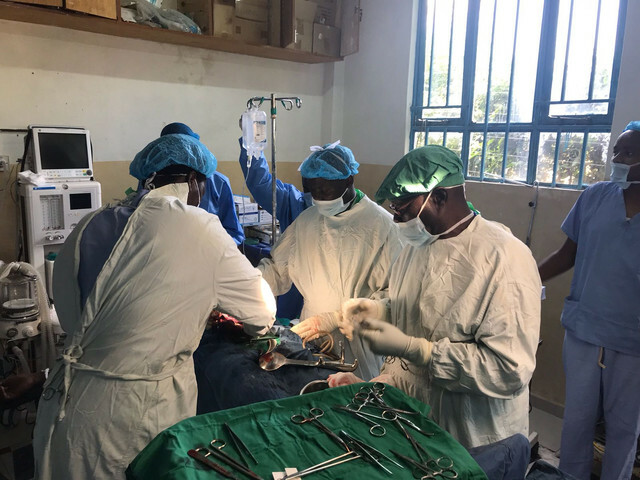 There were 21 surgeries performed last week including four successful emergency cesarean sections. One of the twenty-one surgeries performed during the week. 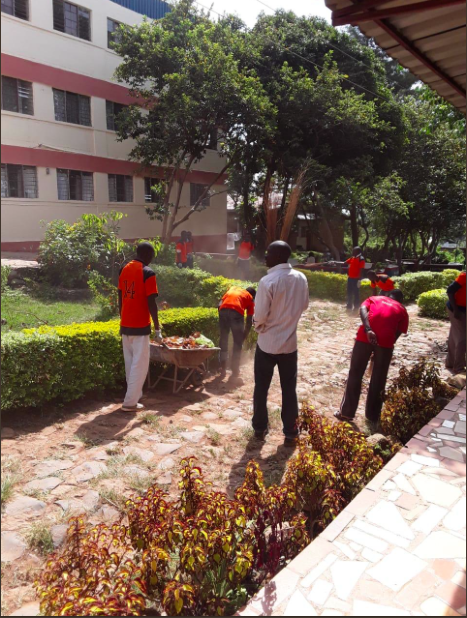 After a busy week full of lectures, surgeries, a pretest and a posttest, all of the team members from Kombewa were successfully trained as Ketamine providers. In celebration of this we held our traditional graduation ceremony on Friday evening to conclude another successful Ketamine Week. 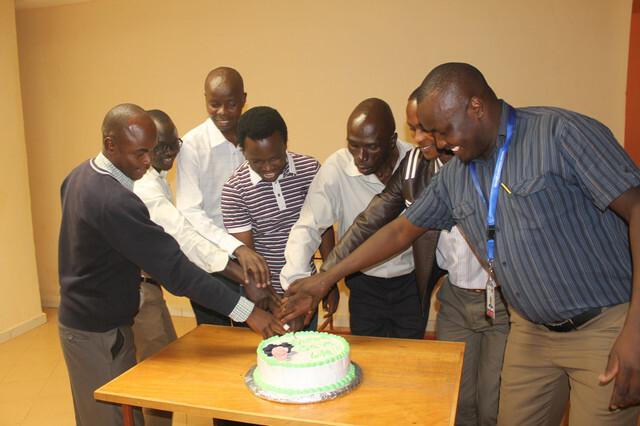 In this ceremony we presented the former trainees with their Ketamine certificates, danced, and enjoyed some cake. We would like the SCH staff for working so hard during this Ketamine Week. 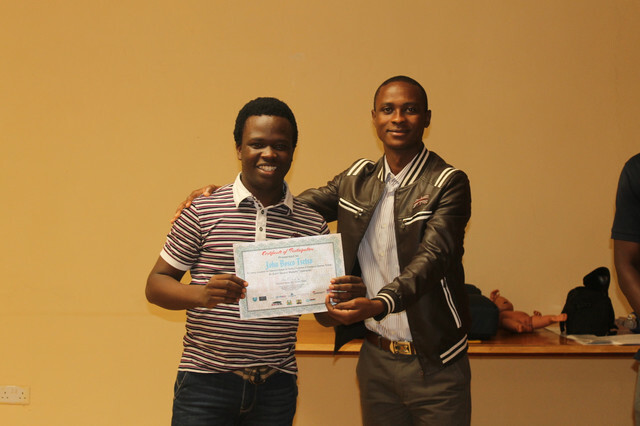 Also thank you to the Kombewa team who were able to come on short notice and were excellent students. SCH is very proud to have accomplished our goal that we were given earlier last month. We intend to build on this successful Ketamine Week with more in the future. The team from Kombewa took a group photo before departing. For more information on AIHT please visit our website by clicking here. This article was written by Sebastian Karlson.